The wheels are fitted with foot protection and brakes. The rubber-coated "T" handle facilitates easier operations. All models are fitted with polyamide wheels and castors to facilitate manoeuvrability. These wheels do not damage garage floors, do not rust and are quiet in operation. 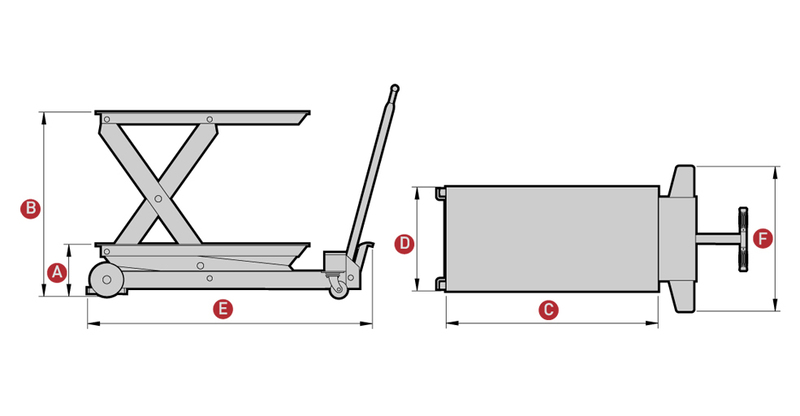 The table can be locked at different heights with safety bolts.